Your business has its own unique look, determined by many factors: your industry, your company culture, and how you will engage with clients. No matter how you want to present yourself, Intex Flooring has commercial flooring that will communicate your style. 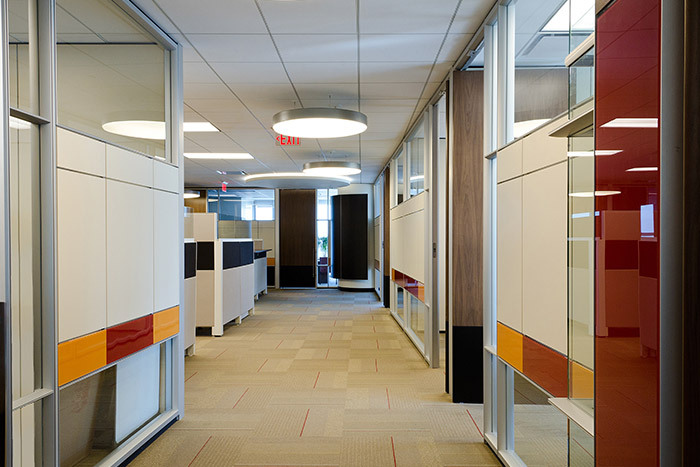 Office layouts encompass various areas, such as the lobby, conference rooms, executive offices, and break rooms—and each could require a different type of flooring. You may want modern large format panels for your entrance to impress and welcome clients and durable vinyl for easy clean-up in your lunch room. No matter what, Intex Flooring provides quality products that are both beautiful and long-lasting. Have an office flooring project you'd like to discuss? Whether your office is big or small, we can help you choose the best flooring to suit the space. Reach out to the experts at Intex Flooring.